Things That Mrs Aya Said: Edition 1. 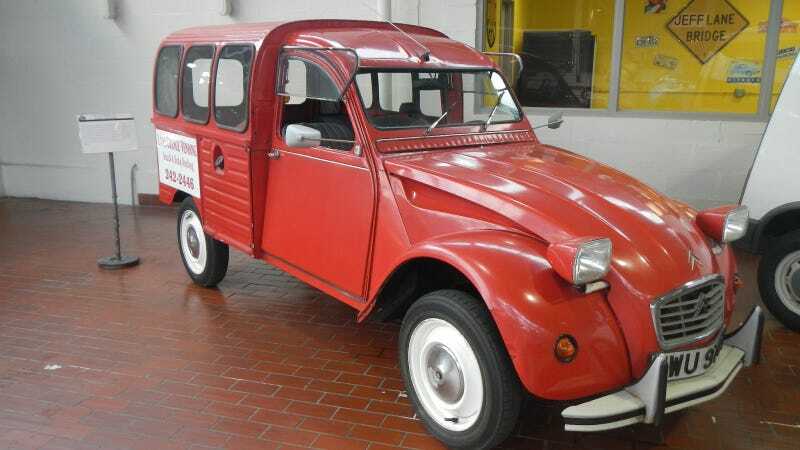 If my family had a Citroen 2CV Fourgonnette when i was a kid i might be able to pretend that it's my house! I don't really like the shade of the Alfa Romeo Spider. You see, it might look cool in pictures but it might hurt your eyes when you see it. I prefer the Datsun Fairlady Sports over that Alfa, because just look at it! It looks more elegant than the alfa, and it has a nice shade of white that enhance the looks of it. Plus since the Datsun looks smaller than the Alfa, it might be better to drive as well than the Alfa. You always said that the Mazda Miata is the closest thing to a car that has an actual face. But for me, Citroen Ami really has a face as well. And those rear pillar looks really hard to work on if you're into restoring those thing. Can we have one of this at home? It's by far the coolest thing that can be done to an old Beetle. I like the Sunbeam Tiger. That steering wheels looks really cool! Things that Mrs Aya Said is a un-regular feature where i put some of the quotes that she said when we're discussing cars we saw on the interweb, in an endless attempt by Mr Aya to made Mrs Aya love cars.